Today, I want to share the top 10 things that serious network marketers do every single month to move their business forward, so you have a better understanding about what it takes to be successful in this industry. I’ve studied many successful people in this great industry and I have definitely noticed some specific trends and similarities. Although everyone has their own strategy for building a business, and puts their own twist on things, there are many “similar” things that all serious network marketers do every single month. They are listed below in no particular order. Serious and committed network marketers meet two to five new people every day, no matter what. Their number one focus is to meet new people. They do this in different ways such as Facebook, face-to-face, generating leads online, attending networking groups, etc. They know that they need new people to share their business opportunity and products with so they make sure a day never goes by unless they have prospected minimum two to five new people. Because serious network marketers are always talking to new people each day, they always have someone to share their business and products with. Typically, about 1 in 5 people you approach will listen/watch a presentation, if you approach them the right way. Assuming you are talking to two to five people per day, it would be very easy to do 12 to 30 presentations each month. Keep in mind you don’t have to physically do these presentations yourself, but you do need to ensure at least 12 to 30 new people are watching a presentation each month. I simply share a short 16-minute video with people myself, and don’t meet anyone face to face (so it doesn’t take me much time). Assuming you are showing 12 to 30 presentations each month, you should have no problem sponsoring 2-6 people per month. That assumes that about 1 out of every 5 people who see a presentation ultimately joins your team. From personal experience I have found that the magic number is 4. Most top earners consistently sponsor 4 new people every month, which breaks down to about one per week. This is doable, even for a part-timer, if you have a game plan and work smart. To succeed, you MUST sponsor new people each month. When people tell you no to the business opportunity, you should ask them to try out the products. Customers are a very important part of your business. All serious reps maintain at least 10-20 active customers and they are always finding new customers each month. This gives you instant profit and helps you build a sound business. If you are showing 12 to 30 presentations each month this won’t be hard to do. Serious distributors never ever use a competitor’s product, EVER. If you were to walk through their house you would quickly see at least 20 to 40 of their company’s products. They are serious product users. They’re on auto-ship. They try new products every single month. If their company makes it they use it! They are their own best customer. Leaders are readers and readers are leaders. Serious reps read minimum 15 to 30 minutes every day. They focus on books that will teach them new skills and make them better leaders. They read books about network marketing, business, entrepreneurship, communication, leadership, lead generation, marketing, sales and more. Check out my reading list. Serious distributors don’t listen to the radio in their car. Whenever they are driving they are listening to some type of training or personal development course that will teach them new skills or make them a better leader. They listen to at least an hour of audio training each day. This includes audios on a variety of topics such as leadership, network marketing, entrepreneurship, sales, marketing, communication, and more. Learn more about automobile university. Serious distributors attend their company’s events. This includes local meetings, regional meetings, conference calls, webinars, etc. In fact, most serious distributors do their own training for their own team, even if they aren’t top earners yet. Events are very powerful and are a great way to keep everyone plugged in. Serious MLM Distributors counsel with their upline mentor a few times each month. They mastermind, ask questions, talk about what is and what isn’t working in their business, and get new ideas to help them move their business forward. In addition to their upline, they also have several other mentors who help them improve their skills. Serious distributors work very closely with their serious team members. This is typically no more than five to ten percent of their team. They help their new team members get started right. They provide insight and guidance. They are accessible to their team. They help people on their team develop game plans and answer their questions. They chase the business and work with the willing. There you have it folks. This is my list of the top 10 things that serious network marketers do every single month. This is actually a pretty basic list that anyone can follow. The only thing that might vary a little bit is HOW you prospect people. Each person can use a strategy that works for them. What do you think? If you are a serious and committed network marketer, what do you do? Is there anything I didn’t mention? Please leave a comment below to share your thoughts. I look forward to hearing from you. 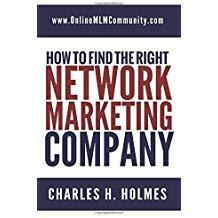 I wouldn’t be exaggerating if I call this post the ‘blueprint for network marketing success”. This will save a lot of people from months, if not years of trial-and-errors. It lays down how many presentations you should expect to make, and how many downlines, and customers you can expect to get as a result of your presentations. And as one of your latest posts suggests, it all comes down how many presentations you have shown to prospects. I couldn’t agree more. Like it or hate it, that is the key to success in the MLM industry. Thanks, I’m glad this post helped you out. Excellent list of things people could be and should be doing in order to grow themselves and their MLM business. Each and every single one of these “to-do” items is significant and adds value to the business. MLM is a learning process, and if you are serious you should really be doing everything within your power to grow yourself as a professional and grow your company. Otherwise, what is the point of being in the MLM industry anyway? Thanks for the comment, Diamond. One of the listed items you have here is so very important. Actually, they are all important, but I speak of 100% product use.It amazes me when I see someone trying to sell MLM products, but when you go to their home, they use products from other companies. I truly believe that if you are not willing to use the products you are “pushing,” you shouldn’t be with the company. Personally, I love all of the products I have used from the company I am with, and it helps me tell people when I show them that I use the products. Be your own best customer. Enough said.